SYNDÉO WINS IDC Smart Cities North America Award! Along with the Austin, TX Department of Transportation, SYNDÉO is honored to have won IDC’s Smart Cities North America challenge. The details are below in the IDC press release. 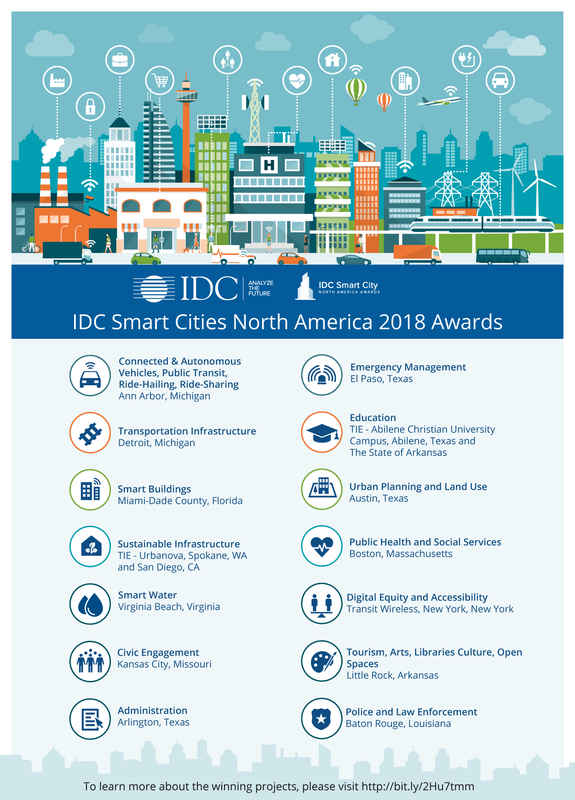 Framingham, MA – April 10, 2018 – After weeks of public voting with close to 3,000 voters, IDC Government Insights today announced the winners of the inaugural IDC Smart Cities North America Awards (SCNAA). The new awards were designed to recognize the progress North American communities have made in executing Smart Cities projects, as well as provide a forum for sharing best practices to help accelerate Smart City development in the region. Winners were named in 14 categories and with a tie in both Education and Sustainable Infrastructure, 16 cities were represented, underscoring the overwhelming success and efficiency of smart city projects implemented across the country. Winners will be honored at the Smart Cities New York event, May 8-10th at Manhattan’s Pier 36. To learn more about the event, please visit https://smartcitiesny.com. To learn more about these winning projects, please visit http://bit.ly/2EU8ZMO.